UMCMA aims to support the work of collegiate ministry in a number of ways. Check out our Campus Ministry Connection Network to lean more about the process of bringing news, issues, concerns to UMCMA's attention. 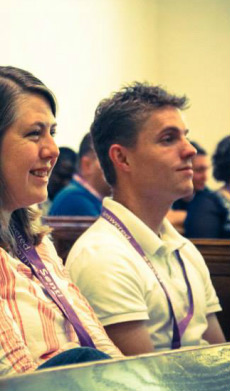 To better serve collegiate ministry the UMCMA is moving to a yearly Summer Institute focused on a particular topic instead of biennial gatherings that cover a wide-range of skills needed to head a vibrant collegiate ministry. For example, this year's focus is on mission and evangelism. We offer the first part of the Summer Institute for collegiate ministers who are in their first five years of collegiate ministry or ones that want a review. We bring this piece into the whole of the Summer Institute to offer veteran and new collegiate ministers a chance to connect, collaborate and share ideas from their contexts. For more information on the Summer Institute click here.